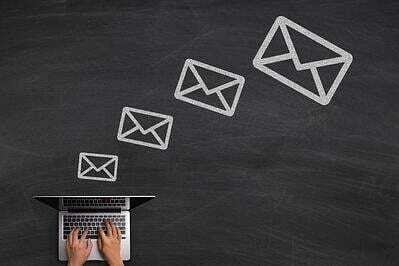 Email is (still) a critical linchpin for sellers and marketers alike. Even as social media, chat and private communication networks (like Slack) proliferate, email is still at the center of communication today. When I talk with prospects about their sales, marketing and communication programs, there’s a lot of variance regarding the primary tools they use. The one thing they all have in common is the use of email. Despite the ubiquity surrounding email communications, very little time is spent developing and executing a robust email strategy. I’m convinced that the reason this is true is because email feels easy and inexpensive. It’s just so easy to think that sending “one” bad/ineffective email is no big deal, we’ll just make it up on the next one. Then one becomes two; two becomes 12, and so on. The reality is that email is one of the most expensive channels in the marketer's and salesperson’s communication toolkit. While sending an email doesn’t cause an immediate, direct cost, what happens after that is significant. Six-months ago we sat down to completely re-imagine our entire approach to email. Recently, that method (and the results it’s gained) was featured as a case study by HubSpot. Since the case study was published, I’ve been asked several times how we did it. This post will highlight how we’ve lit our email strategy on fire and are expanding our competitive advantage because of it. Our email program was not particularly effective. While I say that, I also need to point out that there was nothing obvious about the problem. The reality was that I would have been able to share the metrics of that email program with great pride. Our open rates, click-through rates and conversion rates were all above industry targets. Our emails were well written, got lots of positive comments and support the lead generation, management and sales processes. We literally had no reason (on the surface) to approach things differently. However, despite all of the positives, I knew it wasn’t working. First, I knew that the common metrics that are used to measure email effectiveness are highly flawed. Second, I also saw the trends. Open rates, over time, were trending down. Click-through rates were trending down and had become more volatile (a sign of luck impacting results more than strategy). While blog subscribers were trending upwards nicely, the number of low-engagement subscribers was increasing. Our non-blog nurture emails continued to get solid metrics, but the engagement level was clearly down as measured by actions and low-engagement rates. Our email cadences were arbitrary. If you subscribed for instant blogs, you got them instantly and weekly subscribers got them weekly regardless of what may have happened (or was happening) since the reader subscribed. Stop sending to low engagement recipients. This would be good for engagement rates and would address the gray mail problem, but it would be the equivalent of deleting them from our database. In determining our email marketing cadence, the low engagement group (which is our lowest quality group) would exert disproportionate weight on send timing and frequencies. When emailing - whether you're a marketer or a salesperson - you are competing for the most intense, scarce shelf space there is: your recipient's inbox. When competing for attention in the inbox, it’s a win/lose proposition. If you don’t win by getting that space, you lose. And when you lose, it means getting into the inbox again is tougher for your intended recipient, but also for everyone else you email. What’s more, when you’re not winning in the inbox, the best thing you can hope for is to not get noticed. If your email is noticed and not engaged with, then the lead/prospect/customer is playing word association with your brand; and the word they’re associating with it is ignore. The cost of ineffective email is so high and the challenges so significant, that we actually made the decision to discontinue all emails that were not directly associated to delivering a blog subscription or to a lead nurture program. Not existing (by not sending emails to anyone else) was a more valuable decision than implementing a poor email strategy. Though clearly, not emailing significant chunks of our database was less than ideal as well. We knew we had to change something. We realized that the time had come to re-initiate a broader email strategy. We found a piece of technology that enabled us to both get in the insights we needed to adjust and the capability to tie our actions to more than just hitting a send button. By integrating Seventh Sense’s Email Optimization Platform, we were able to do what we do best: hypothesize and test. We decided the best place to test was with our highest value asset: our blog subscription list. The test we designed would focus on the second two elements. This is the area we’ve always done well with. From the beginning, we’ve implemented a clear segmentation strategy and are very focused on the what, how and why of the content we create for email (and just about everything else). The third element was using send time. While we had read (and reread) numerous studies highlighting “the best time to send an email,” we knew that the best time to send an email was the time the recipient would be most likely to engage with it. To address this, we used Seventh Sense’s send time personalization capabilities. Send Time Personalization (often referred to as send time optimization) is an optimization technique of using email engagement data (open and click data) and scheduling your emails to be delivered to each person when he or she is most likely to engage with your email. We would send instant notifications over a 10 - 48 hour window depending on the time of week and when we anticipated the next blog post to be published. We would send weekly notifications over a one week period. We knew that by breaking the groups apart by engagement levels we’d see increased metrics from our instant notification blog. We anticipated the open rates to regularly be above 30% and have been pleasantly surprised that they’re typically above 34%. We were very happily surprised to see clicks rates move to 6.5% - 9%. Action rates (measured by things like downloads from an email) have more than doubled. Website bounce rates from email as a source have dropped by more than 33%. Our blog engagement rates continue to get stronger. With the data we now have we’re able to isolate the topics, styles and offers that drive results. The cadences represent more than just a change in frequency, but also in approach and style of the email. We’ve been able to further isolate low-quality, low engagement leads, from high quality, low engagement leads. All told this is enabling us to begin to rehabilitate engagement with the higher quality, low engagement leads, while continuing to have greater success with those that are more engaged. Stay tuned...In a future post, I’ll share the details of our new email playbook.